Lifeline® Normal Human Bladder Epithelial Cells – Apex, when grown in UroLife™ culture medium, provide an ideal culture model for the study of bladder biology. 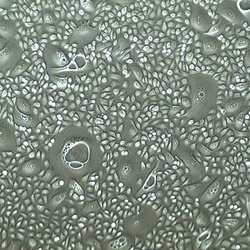 Human Bladder Epithelial Cells -Apex are cryopreserved as primary cells, e.g., cells are isolated from the apex (neck or trigone) region of human bladder tissue and expanded in culture vessels before being harvested for cryopreservation. 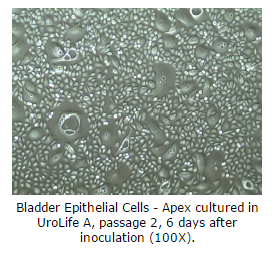 Bladder Epithelial Cells – Apex are tested in complete UroLife™ Medium to ensure proper growth and morphology.